Engineering Design was founded in 1980 to address problems in instrumentation and measurement, physical acoustics, and digital signal analysis. Since 1984, Engineering Design has been the developer of the SIGNAL family of sound analysis software. Applications include sound and vibration measurement, sound modeling and synthesis, animal behavior, perceptual cognition, human auditory testing, and neurophysiological experimentation. a closed-loop ultrasonic hardware system to return a bat signal in real-time with variable delay and frequency shift (accurate to 1 Hz out of 90,000 Hz) to simulate Doppler-shift frequency variation in the return echolocation signal, in order to study Doppler-shift compensation in the bat's neural system. 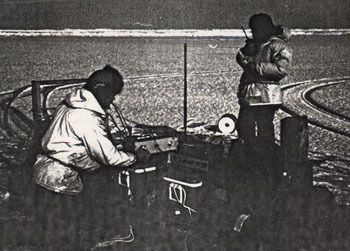 The first SIGNAL system, 1984 (on an ice floe, Barrow, Alaska). 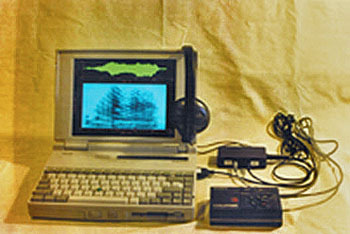 Portable Real-Time Spectrogram system, circa 1996. Engineering Design is the creator of the bioacoustical analysis programs SIGNAL, Real-Time Spectrogram (RTS), Event Detector, Event Analyzer, and Experiment Maker. Our sound analysis software is used at over 200 research laboratories worldwide. Visit our bibliography of papers using SIGNAL for bioacoustics and other acoustical analysis. These papers illustrate the power of SIGNAL and the range of its applications. The principal and founder of Engineering Design is Mr. Kim Beeman, A.B. 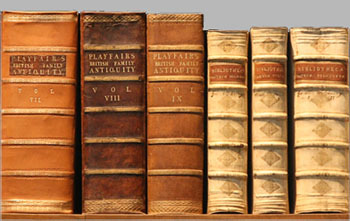 Harvard in English literature and B.S. M.I.T. in electrical engineering and acoustics. 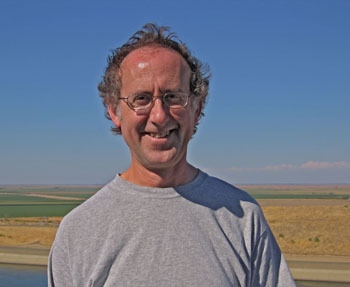 Mr. Beeman has 35 years experience in instrumentation and measurement, digital signal analysis, software design, acoustical modeling, and analog transducer and circuit design. Before founding Engineering Design, he worked for five years at Bose Corporation in acoustical research, on projects including the Bose noise-cancelling headphone, the Bose-General Motors automotive sound system and a noise-cancelling voice microphone for the U.S. Air Force F-16 fighter jet. Outside the lab, he can be found kayaking San Francisco Bay, at the Pacific Film Archive, out on the trail or cooking dinner for friends.